Every now and again you are involved in a video project that you know is going to have a major impact. In 2013 we started working with Peel Ports Liverpool to document the creation of the new deep-water container terminal, Liverpool 2. Peel Ports’ Liverpool 2 is an innovative £300 million construction scheme, central to the government’s Northern Powerhouse strategy and essential for the economy of England’s north west. 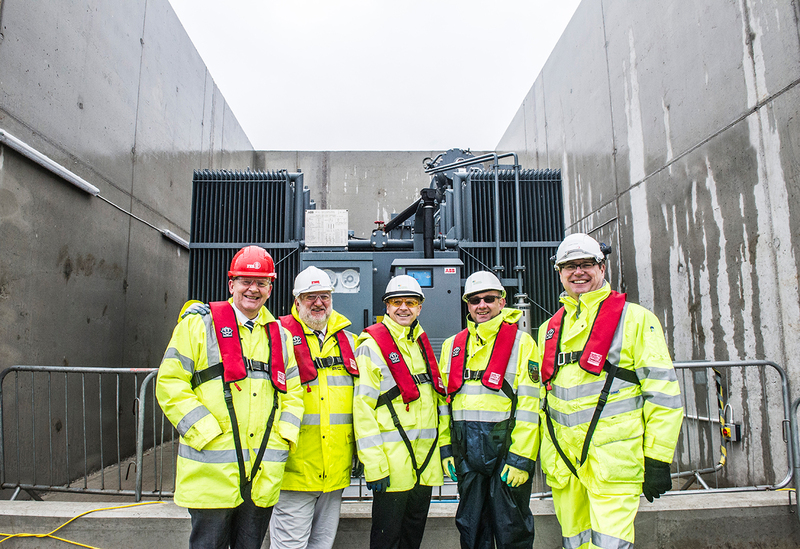 It involved reclaiming 22 hectares of the River Mersey, battling against the elements and tides and installing a state of the art dock facility capable of taking some of the world’s largest container ships, together with a separate Biomass terminal. We worked closely with the project and marketing teams to plan an approach that would enable us to capture the entire build over 3 ½ years to ensure stakeholders in local and national government, business leaders and the local community were kept informed about the scale and impact of the project. Following a comprehensive recce and health and safety assessments, time-lapse cameras were installed overlooking the site from two different angles. As the project developed three more were added so that every aspect of the build could be covered. The cameras, mounted on scaffold rigs and encased in rugged weather-proof housings were timed to trigger at dawn and dusk and attended at least every two weeks to recharge batteries and download millions of high resolution still images. Weather on the Mersey in exposed locations was a key issue – our cameras had to withstand everything nature threw at them, even near-hurricane force winds. The captured images were then taken into the edit suite and converted into a series of seamless 3-4 minute monthly update films that show graphically and in a high level of detail exactly how the project was delivered. Alongside the long interval time-lapse recording the entire build, our production team also produced a number of “milestone” films along the way using short interval time-lapse and traditional documentary filming techniques to highlight key aspects of the project – the arrival of the steel piles that underpin the dock, installation of pipelines, the start of land reclamation and arrival of the new giant dock cranes, for example. The whole 3 ½ year filming project demonstrated how through careful collaboration and planning it is possible to document an historic, ground-breaking enterprise using video to inform, educate and inspire. Every update film produced was distributed on social media and warmly received by the public as well as being used in internal presentations and stakeholder meetings. PR companies, regional broadcasters and business media also distributed the films to show the transformation happening on the River Mersey. Our land reclamation film, New Day Dawning, featured the voices of some of the people responsible for delivering this historic project. They are specialists in marine engineering, drawn from Holland, Denmark and Eastern Europe as well as throughout the UK. Liverpool 2 was a truly collaborative exercise, instilling an infectious sense of team spirit and pride. We aimed to reflect that, using our own combination of people and techniques – documentary filming, UAV aerial shots and both long and short interval time-lapse, condensing days or hours into seconds. The resulting films showed the scale of the operation from start to finish and introduced a global audience to the building technologies involved and the people responsible for this momentous feat of civil engineering. They will be a key part of the archive of Liverpool, the world’s oldest post-industrial port for many years to come. Filming a live marine construction project is not without its challenges in terms of the weather and tidal influences coupled to the inherently dangerous construction environment. The friendly team from Veracity always responded professionally and with good grace when their filming plans were frustrated, however, the quality and content of the finished product has been first class and provided an excellent tool for training and communicating with our stakeholders. ”Veracity have produced an excellent range of time-lapse videos for Peel Ports Group, including on-going filming of the £300 Million Liverpool2 project. Having worked with them; I can say that their attention to detail and ability to tell a story through film is what sets them apart from the competition”.